Although Seoul has lots of delicious foods, I find that I’ve been struggling eating with all small portions sizes that Korea offers. I find myself ordering doubles or even triples at some restaurants. Last week I even ordered a quadruple serving of meat at a Korean barbeque restaurant. You may think that I am quite fat but in reality the portion sizes compared to America are a lot smaller. It can also get very expensive when you order tons of food at some restaurants. That’s why this week I’m going to introduce Loun Shabu Shabu Buffet (로운샤브샤브). 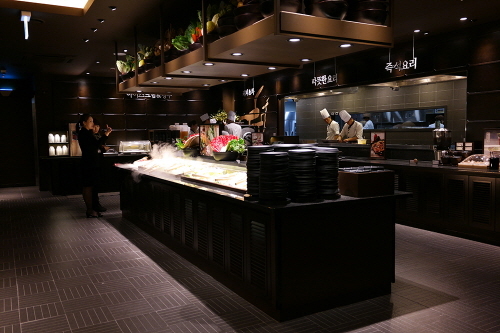 It is a Hot Pot buffet in Hongdae with a plethora of options and amazing service. Arriving here is very easy. All you need to do is take the line 2 to Honggik University Station (홍대입구역)and walk out of exit 9. Shabu Shabu Buffet will give you your fill and it’s delicious/affordable. 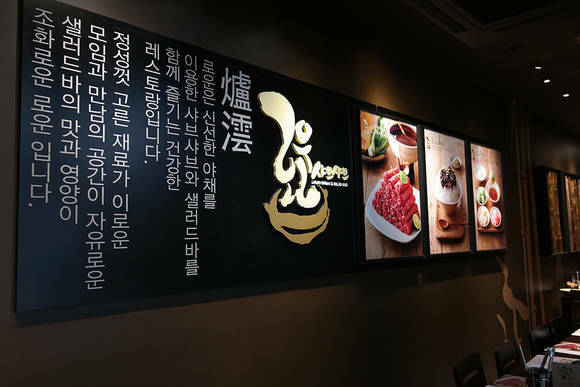 Weekday prices start from 9,900 Won for lunch and 15,900 Won for dinner while weekend prices are 15,900 Won all day long. The price is well worth the unlimited amount of great quality food you will receive as well as the relaxing, nature-inspired ambience of the restaurant’s interior. 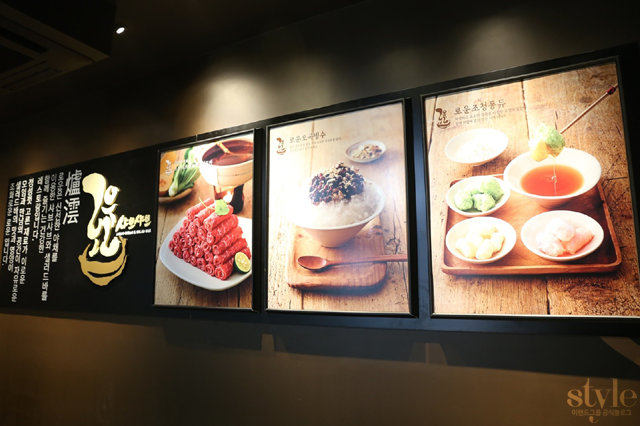 When you arrive at the buffet you will be faced with the challenge of deciding what meat to eat for your hot pot. You can choose Korean meat or Australian meat. The waiters will give you a pot of shabu shabu broth and however many servings of meat you order. While you wait for the broth to boil you can fill your plate with a scrumptious assortment of salads, vegetables to put in your broth, and meats, etc. When your plate’s full, you can come back to the table and customize your hot pot with meat and whatever vegetables you desire. Do this and repeat for as many times as your stomach will allow. 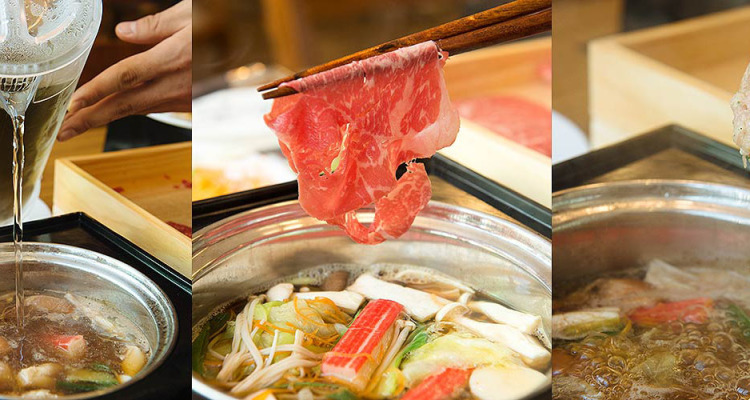 Shabu shabu meat is thinly sliced, so you can eat for a longer period of time without getting too sick or full as you might with regular cut meat. After eating some savory meal foods, don’t forget to save some room for dessert! At the buffet, you can make your own Korean shaved ice dessert after you’ve had your fix of heavy foods. You can top your dessert with sweet red bean, ice cream, and other toppings. There are also several kinds of seasonal fruit as well as a wide assortment of teas and coffees to let your stomach settle. Although you might want to stay at this delicious place for as long as you can, there is unfortunately a two hour limit due to the high demand of people waiting in line to eat. 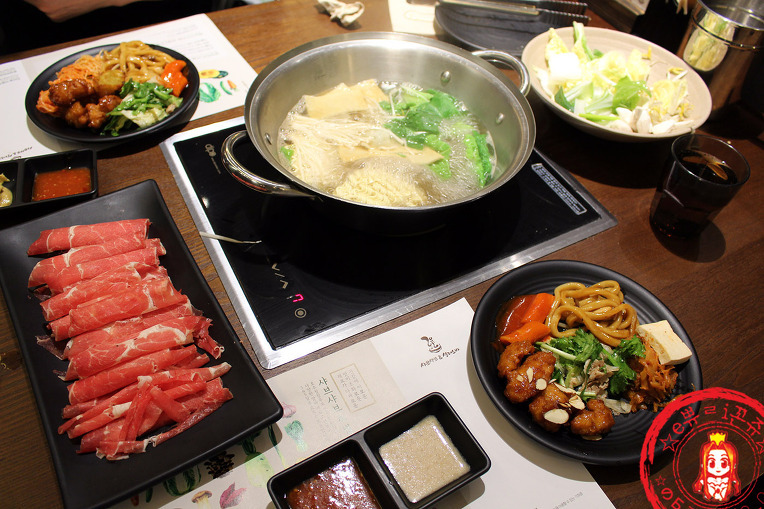 If you often find yourself wanting a little more after the last meal you just ate, then Loun Shabu Shabu buffet is a great option to satisfy your stomach’s cravings. Article by Vincent from the U.S.A.